I went to Ottawa this one time. Okay, so I go a lot of times. 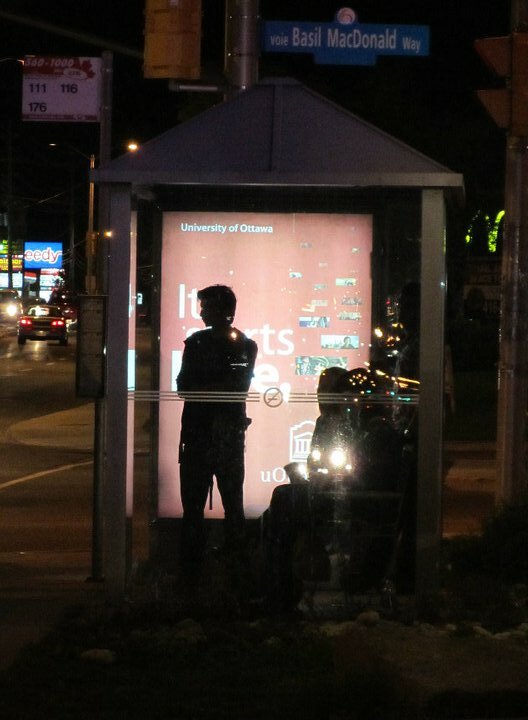 It used to be an arduous experience and now it’s more of a gentle revisitation, but I digress, basically – this shot is the most interesting thing to see outside of the random family restaurant that my family took me to the last time I went there. After the terrible flatbread experience there was this silhouette and the frabjous excitement of finding it, and of finding a good use for the zoom on my camera. It was thanksgivin’time, and that means lots of chances to catch shots of ruby red glistening-glows of random cranberry sauciness all a-front of my brother’s hands in the midst of a good game of Settlers of Cataan (a good game if there ever was one, albeit one that I don’t play but enjoy when those around me do play it). Things of more interest, things I can talk about with knowledge…. Ah, ! I took it upon myself to make this flourless Lebovitz-cake, a Gateaux Racines, and only with the best of chocolate that I could afford. In an seriousness I felt I was buying ingots of gold in that shop, and their subsequent careful dismantling (chopping) was an exercise in the mindful destruction of treasures. 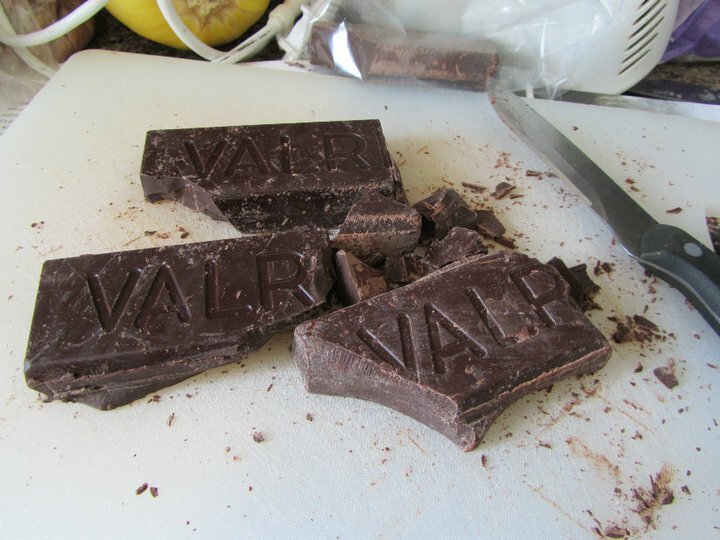 Valrhona chocolate.. smells of the quality it advertises itself to be, the kind of chocolate that validates the life we all want to live, one filled with artisanal sunspots, breaks of rare skill, chunks of deep and smoky cacao butter soon to be alchemically blitzed into a cake of perhaps less-than-fully appreciated but still appreciated splendor. The Gateaux in all it’s worthy-of-being-dubbed-gateaux-massiveness. There are other photos of the concerted construction as well! There is this, a split moment wherein I managed to hold a camera at a good angle to catch the sunlit and motor-powered effort of a good soul and a plugged-in whisk attempting to denature some proteins and incorporate some oxygen into an egg foam for which to fold into melted chocolate in a JUSTSO way prescribed by most pastry books in an intimidating but not-needing-to-be intimidating manner – basically, FOLD AND SHOW NO FEAR, do not overfold, but trust that the folding that you do end up doing will be enough and not too much, and if it is too much, that is very ok and will result in fluffy bliss regardless of pastry’s often overstrict and OCD rules. Melted chocomolate. Butter. Need I say more? Really, no, but I will, cause well yeah I’m not enlightened yet and YO MAN BUTTER is such a thing of beauty, pure and milkfatty and scientifically pliant and oh-so willing to make whatever concoction you’ve envisioned turn out with panache or ganache or whatever variation therein you can muster. Witness my brother’s so-focused effort to effort-up a pie. Isn’t it astounding? So beautiful? So .. I don’t want to overuse the word pure, but somehow it’s what occurs to my mind, as a sentiment of a sister watching a budding artisan think his way towards an idea moving from a notion to a reality…. I admit, I did administer the paper-pastry leaves, and even the rolling of the basic pastry that it sits on, but the idea and the soul of it remains my brother’s, and a successful finale to thanksgiving it remained. Lessee, is there anything else to mention… ? Yep, that seems about it. 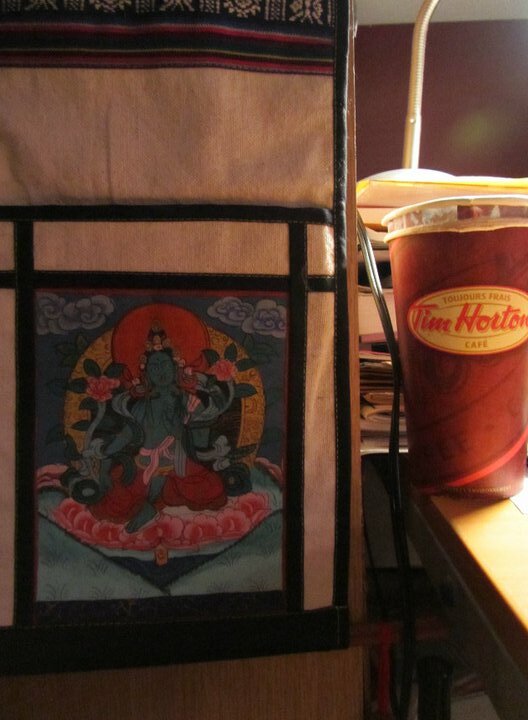 A Thangsgiivvvvvin mirahkel, by way of a Tara budding elbows with a Tim Hortons souvenir, another fortuitous buddha sighting and a mercifully wordless ending to a probably overwordy rec-caption of a definitely (defiantly) mundane but blissful and satisfying trip home to the Ottawa-place. 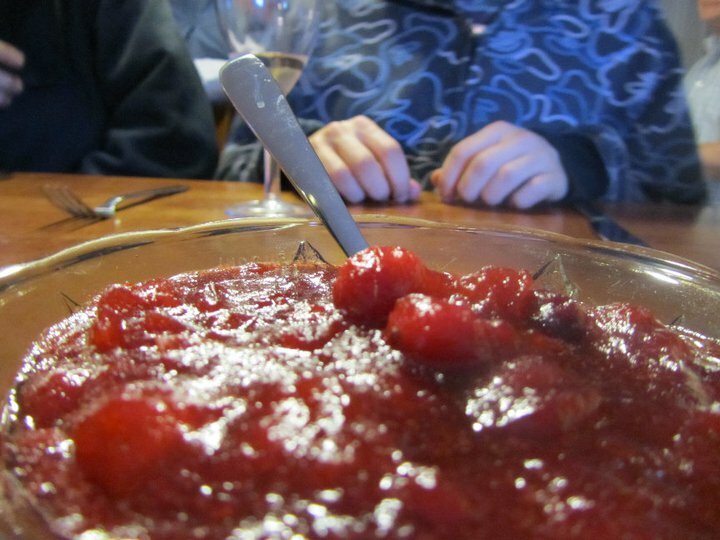 Yey Tara, Yey Pumpkin, Yey Bro-hood, and Yey Cranberry Sauce, all y’all are precious. Preheat the oven to 350° F (175° C). Butter the bottom and sides of a 9-inch (23-cm) spring-form pan, dust it with a bit of cocoa powder, and tap out any excess. Place the chocolate, butter and espresso in a large heatproof bowl. Set over a small saucepan of simmering water and using a spatula, stir until the chocolate and butter has melted and the mixture is smooth. Remove the bowl from the heat and stir in the vanilla; set aside. 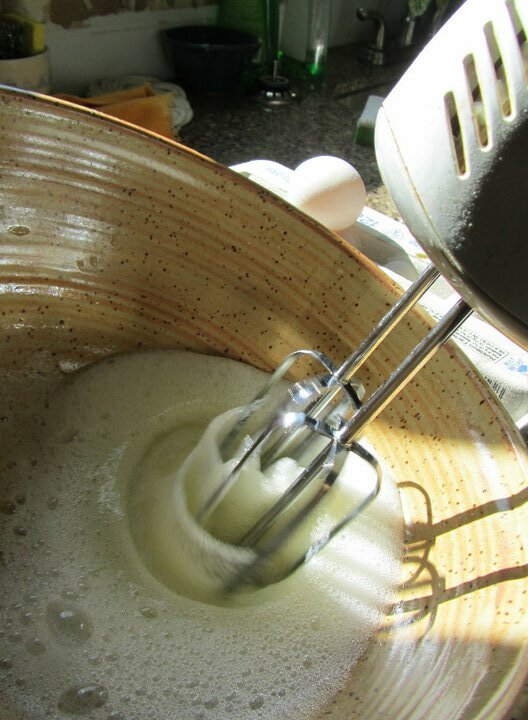 In the bowl of a stand mixer fitted with the whisk attachment, whisk the egg yolks and the 1/4 cup (50 g) granulated sugar on medium-high speed until the mixture is light and creamy, about 1 minute. Place the egg whites in a clean, dry bowl and using a hand-held electric mixer fitted with a whisk attachment, whisk the egg whites on low speed until they begin to hold their shape. 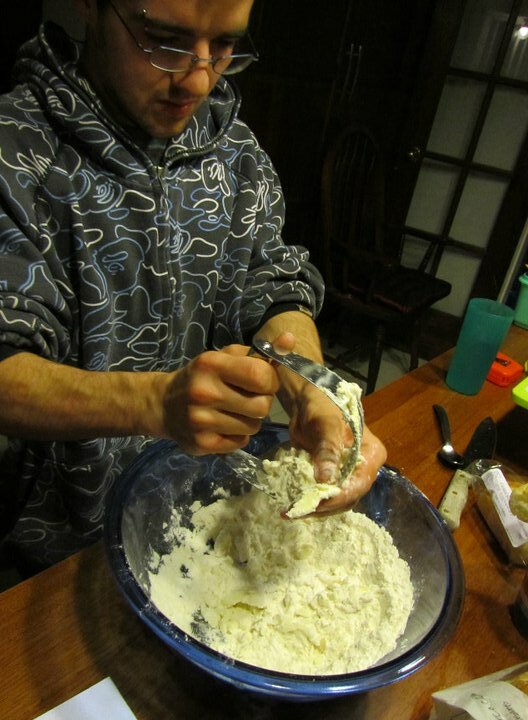 Add the remaining 2 tablespoons (30 g) granulated sugar and whisk on high speed until the whites hold soft peaks. 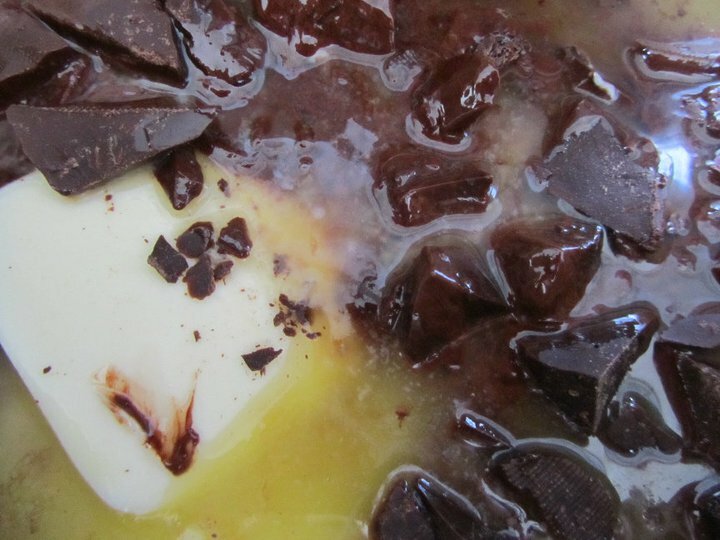 Fold the beaten egg yolks into the melted chocolate mixture, then fold in half of the whipped egg whites. Fold in the remaining whites, folding just until there are no visible streaks of egg whites. Don’t overfold. Pour the batter into the prepared spring-form pan, sprinkle with cocoa nibs (if using), and bake until the cake feels as though it’s just barely set (It shouldn’t feel to firm.) in the centre, about 25 minutes. Remove from the oven and place on a wire rack to cool completely. Run a knife around the sides of the cake to help loosen it from the pan. Release the sides of the pan and dust the cake with confectioners’ sugar (if using). Getting ready: Center a rack in the oven and preheat the oven to 450°F. Line a baking sheet with parchment or a silicone baking mat and put the pie plate (or tart pan) on it. Put all of the filling ingredients in a food processor and process for 2 minutes, stopping to scrape down the sides of the bowl once or twice. Alternatively, you can whisk the ingredients together vigorously in a mixing bowl. Rap either the work bowl or mixing bowl against the counter to burst any surface bubbles, and pour the filling into the crust. Bake for 10 minutes, then reduce the oven temperature to 300°F and continue to bake for 35 to 45 minutes longer (20 to 25 minutes for a tart), or until a knife inserted close to the center comes out clean. (If you don’t want to create a slash in your masterpiece, tap the pan gently—if the custard doesn’t jiggle, or only jiggles a teensy bit in the very center, it’s done.) Transfer the pie (or tart) to a rack and cool to room temperature. Serving: Pumpkin pie and whipped cream are naturals and, if you’ve tested the pie’s doneness with a knife, you might want to serve the whipped cream as a cover-up. I like this pie chilled, but others are fans of it at room temperature – decide for yourself. Storing: Like most pies, this one is best served the day it is made. However, you can make the pie early in the day and keep it refrigerated until needed.